SPECIAL: Korg Krome SOUND BUNDLE PACK: Get all five of our incredible Krome sound sets for only $125. 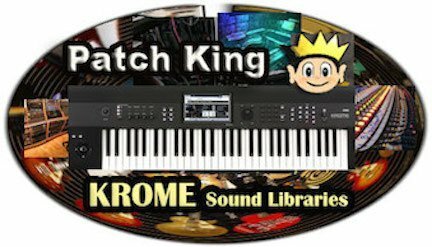 An amazing collection of sounds now available for the Korg Krome – weighing in at: 272 Programs, 40 Combis and over 80 MB of New Samples! Get the complete package of Vintage Synths, Electric Guitars, Soundtrack Mix, Studio Session Mix and Killer Keyboards for the special low price of $125. USD – A $50. savings.